Currency Converter is first of its own app which provides live currency rates of every country in the world. It’s not only provide live currency rate it also help you to convert currency of one country to other with one button press. It uses third party API’S to fetch live exchange rate. 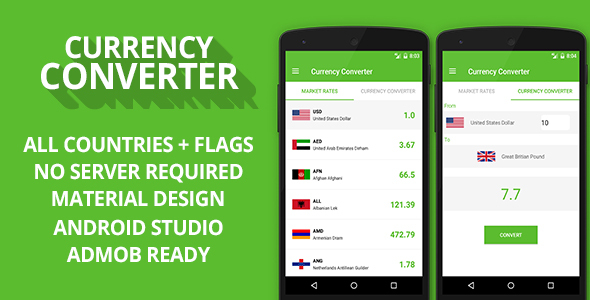 Currency Converter is fully eye catching material design and work on all android devices and screen sizes. This app has navigation drawer and tabs with more apps and rate this app features.